When creating a new CRM report via the Report Wizard you might come across the information warning shown below. What this means is that you need to install the Microsoft Dynamics CRM Reporting Extensions (SrsDataConnector) from the CRM 2011 installation media on the SSRS server. Note: Don’t get this mixed up with the Microsoft Dynamics CRM 2011 Report Authoring Extension, this is different. You can download CRM 2011 Server (which contains the Microsoft Dynamics CRM Reporting Extensions) at the link below (if you don’t have the media available). You must complete Microsoft Dynamics CRM Server Setup before you run CRM Reporting Extensions Setup. 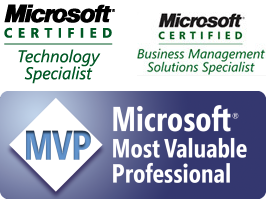 You must run CRM Reporting Extensions Setup on a computer that has Microsoft SQL Server 2008 Reporting Services or Microsoft SQL Server 2008 R2 Reporting Services installed. Microsoft Dynamics CRM users who use the Report Viewer control included with Microsoft Visual Studio 2008 can view information from the reports that they have access to. By using this control, the user can view additional report and session data that is not displayed when running the report in Microsoft Dynamics CRM. 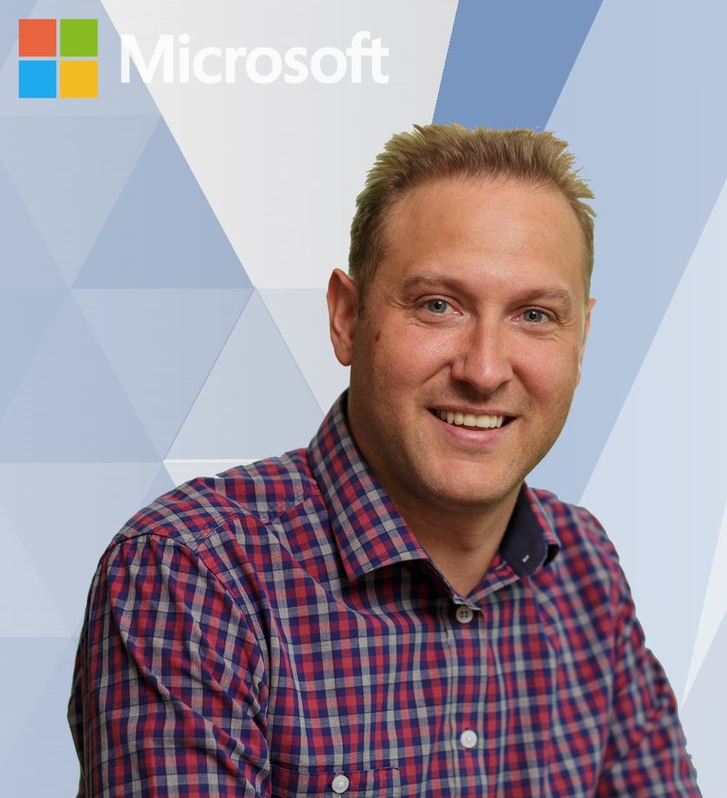 To reduce the risk of exposing confidential data, we recommend that you configure the SQL Server Microsoft SQL Server Reporting Services Web site where the Microsoft Dynamics CRM Reporting Extensions is installed to allow only secure sockets layer (SSL), also known as Secure HTTP, connections. For more information, see the Microsoft SQL Server Reporting Services Help (see Configuring a Report Server for Secure Sockets Layer (SSL) Connections – http://go.microsoft.com/fwlink/?LinkId=201073). To reduce the risk of certain security vulnerabilities, we strongly recommend that you use different Active Directory accounts for the application pools used to run the Microsoft Dynamics CRM Server 2011 and SQL Server Reporting Services Web sites. 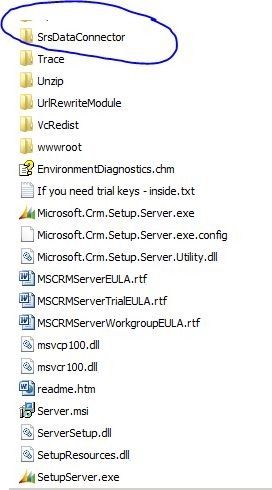 In the /SrsDataConnector/ folder, double-click SetupSrsDataConnector.exe. On the Welcome to Microsoft Dynamics CRM Reporting Extensions Setup page, select whether you want to update Microsoft Dynamics CRM Server Setup. We recommend that, if updates are available, you let Setup download the latest version. To do this, click Update installation files, wait until the update process is complete, and then click Next. On the License Agreement page, review the information and, if you accept the license agreement, click I accept this license agreement, and then click I Accept. If Setup detects that components are missing, the Install Required Components page appears. On the Specify Configuration Database Server page, if you are using the default instance of the SQL Server, enter the name of the computer that is running SQL Server and contains the Microsoft Dynamics CRM configuration database that is named MSCRM_CONFIG, and then click Next. On the Specify SSRS Instance Name page, select a Microsoft SQL Server Reporting Services instance that will be used for Microsoft Dynamics CRM reporting, and then click Next. On the Select Microsoft Update OptIn page, select whether you want to use Microsoft Update for checking for updates for your Microsoft products, and click Next. We recommend that you use the Microsoft Update to check for updates because this keeps your computer up-to-date and secure. On the Select Installation Location page, click Browse, and select a path where you want to install CRM Reporting Extensions, and then click Next. The System Checks page appears. This page is a summary of the requirements for a successful CRM Reporting Extensions installation. Errors must be corrected before installation can continue. All errors must be resolved. If no errors or only warnings appear, you can continue with the installation. To do this, click Next. 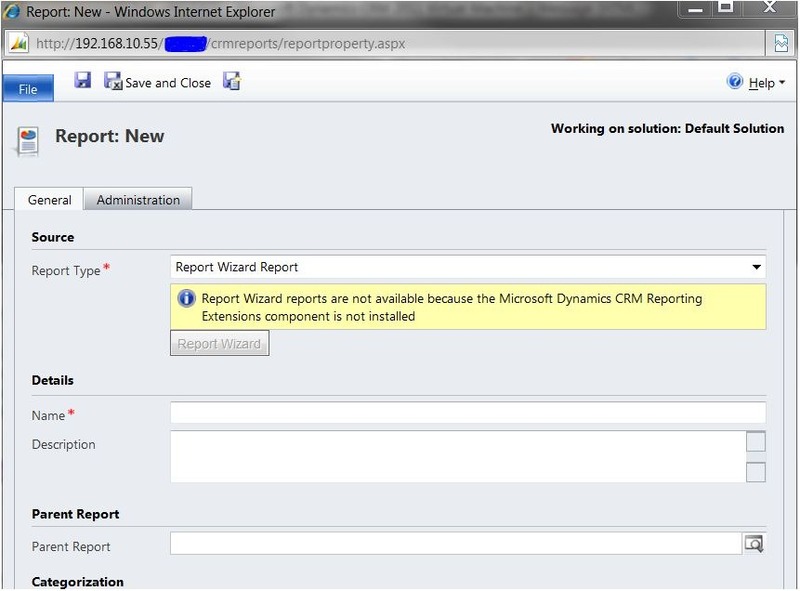 Review the Ready to Install Microsoft Dynamics CRM Reporting Extensions page, and then click Back to correct any errors. When you are ready to continue, click Install. When Setup completes successfully, the Microsoft Dynamics CRM Reporting Extensions Setup Completed page appears. Click Finish. The reports will be published for the default organization. The user running CRM Reporting Extensions Setup does not have appropriate permissions on the organization database. CRM Reporting Extensions are installed for an SQL Server Reporting Services instance that is different from the one that is being used by the organization. The base language of the organization is different from the language in which CRM Reporting Extensions are being installed. I’m usually excited to check out this weblog in the evenings.Please keep on churning out the content. It’s extremely entertaining.